Σχεδιασμένο για ταξίδια τόσο επαγγελματικά όσο και διασκέδασης, το Hotel The Coast είναι ιδανικά τοποθετημένο στη Λίμνη Πιούα, μια από τις διασημότερες περιοχές της πόλης. Σε απόσταση μόνο 0.5 KM από το κέντρο της πόλης, οι επισκέπτες βρίσκονται στην κατάλληλη θέση για να απολαύσουν τα αξιοθέατα και τις δραστηριότητες. Από τη βολική της τοποθεσία, η ιδιοκτησία προσφέρει εύκολη πρόσβαση σε κορυφαίους προορισμούς της πόλης. Το Hotel The Coast προσφέρει επίσης πολλές εγκαταστάσεις για να εμπλουτίσετε την διαμονή σας στη Pokhara. Για την άνεση και την διευκόλυνση των πελατών, το ξενοδοχείο προσφέρει 24ωρη υπηρεσία δωματίου, δωρεάν WiFi σε όλα τα δωμάτια, 24ωρη φύλαξη, υπηρεσία εισιτηρίου, υπηρεσία ταξί. Το Hotel The Coast διαθέτει 21 δωμάτια. Όλα τους είναι διακοσμημένα με γούστο και πολλά από αυτά παρέχουν ανέσεις όπως επίπεδη τηλεόραση, κρεμάστρα ρούχων, δωρεάν τσάι, λευκά είδη, καθρέφτης. Κατά τη διάρκεια της μέρας μπορείτε να απολαύσετε την χαλαρωτική ατμόσφαιρα των πλοία, σπα, μασάζ. Όποιος κι αν είναι ο σκοπός της επίσκεψης σας, το Hotel The Coast είναι μια εξαιρετική επιλογή για την διαμονή σας στη Pokhara. The room was nice, clean, and comfortable. On our second night, right after we finished trekking, they give us another room, more spacious, with much bigger bed. Thank you, we really appreciate it. The view from the room is amazing. The bathroom is very clean, but the water took sometime to get hot. The staff is very friendly and helpful. Location is perfect, a lot of shops and restaurant nearby. 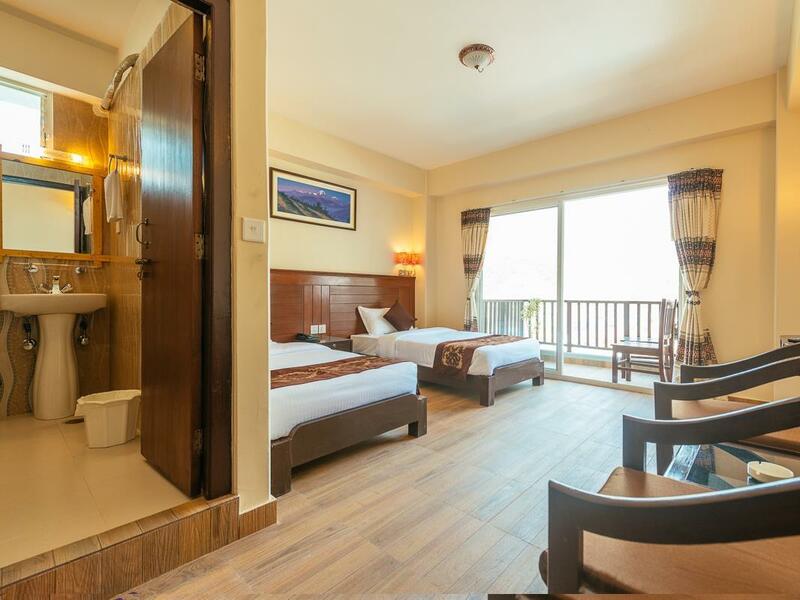 Perfect choice to stay in Pokhara. I liked it for the price and everything. The view is spectacular from the Lake View Room. Santos has been very helpful & very humble. He assisted us every time with care & dedication. He also guided us to make our trip to Pokhara worthwhile. They were also prompt when we needed something. One morning the hot water wasn’t coming & they fixed it in 2 mins. It was impressive. We had a great stay here. Staff were amazing. We had a great view from the 5th floor. Keep in mind that the lift only goes to the 3rd floor. Also if you book online and order a lake view room, call to confirm you have a lake view. Other than that we will definately stay there again! Dear Guest, Thank you so much for your great and kind reviews.Hope to see you in the future. 1.) view of phewa lake 2. )big and clean room 3. )fast wifi 1. )staff trying to ripped me off for the morning transport to airport with the exuse of no change. 2. )noisy:construction nearby in the morning and music from nearby bars at night 3.) I dont feel welcome during check in 4.) location is far from the central of lakeside. Dear Guest, Thank you for your reviews. One of my favorite hotel. I have stayed here 2 times during my visit to Pokhara. Every thing is good here. Very good value for money given the (discounted) "Agoda deal" during my booking period in Dec. Perfect place to relax after any trekking. I enjoyed the three days I spent in the hotel. The restaurant is located in the rooftop, and it is one of the best views of the lake that I have seen. I was able to get several wonderful shots from the rooftop. The staff at the hotel were amazing, attentive and helpful. It was very close to shops and restaurants and the New Year's Party along Lakeside Road when I was there. The breakfast was simple and decent, it's just that they serve breakfast for only two hours (7:00am to 9:00am). The internet connection was quite disappointing. They had so many access points and there are times when these access points do not work. There were several times when I had to use my own phone's data to get logged on to the net. I also had some issues with cleanliness in the bathroom, after I reported it to the front desk, they cleaned it up. It could have been avoided though if they were very meticulous in the cleaning routine. The staff are very friendly, polite, helpful, they speak good English. The room is good, with BIG BED!! However, if you were to take your shower at 12am, I m afraid that you would have to suffer with COLD WATER, during winter!! Also, early in the morning, we wanna have HOT SHOWER, unfortunately there was NO HOT WATER for us!!!! The restaurant for breakfast is on the roof-top, so you may enjoy your breakfast with the LAKE VIEW!! Foods are ok, if you are NOT very fussy. The wifi is only STRONG and GOOD at the lobby, while NOT in the room!!! It takes ages to load a page!! I gave up! Overall, it's worth your money to stay there! It may NOT be found easily, as it's located inside a small alley. A recommended one!!! Dear Guest, Thank you so much for you great and kind reviews. Was there for 1 night only before departure to annapurna. Unable to get one after back from ABC, For this hotel is really popular. The location is perfectly located at town centre and next to the lake walk. 5min walk to the bus pickup location. Their staff are really helpful and thoughtful, although I didn't stay there after I'm back from trekking, they still helped me to book bus ticket, and even sent their guy to look for me when the pick up location changed. Overall, clean room, perfect location, reasonable price, best staffs. Dear Guest, Thank you so much for your great and kind reviews. My family and I had a good stay at Hotel The Coast. Though the furnishings and fixtures are a little dated, the room and toilet are generally very clean. And the view from the room/bed is wonderful! Being in Pokhara during early winter period, the temperature is pretty cold. Thus, the stable supply of hot water was much appreciated. The morning breakfast spread by the hotel was simply great for us vegetarians. And they took the effort to change the menu everyday. For meat-eaters, be informed that only one meat dish is served. Hotel The Coast is also very near the main tourist strip, as such access to food and information is very easy. The only grouse we have for the hotel is, the barking noises from the dogs around the neighbourhood throughout the night (intermittently). Which we reckon will be the same in other hotels near the main tourist street. I had a great time with my Lake View room at Hotel the Coast. I could enjoy the lake view, or watch para-gliders sailing from Sarangkot with Manuchupuchera in the background. The room was clean, and the bed was comfy. I had a great time. We were really lucky to stay this hotel at this cheap price! We started looking for a hotel the very day before we went to Pokhara, and accidentally found this hotel very affordable. We did not expect a good hotel because the price was so cheap, but everything was perfect in this hotel. It is close to the lake and is located in the city center, so it was convenient to go anywhere and the hotel was clean and comfortable. 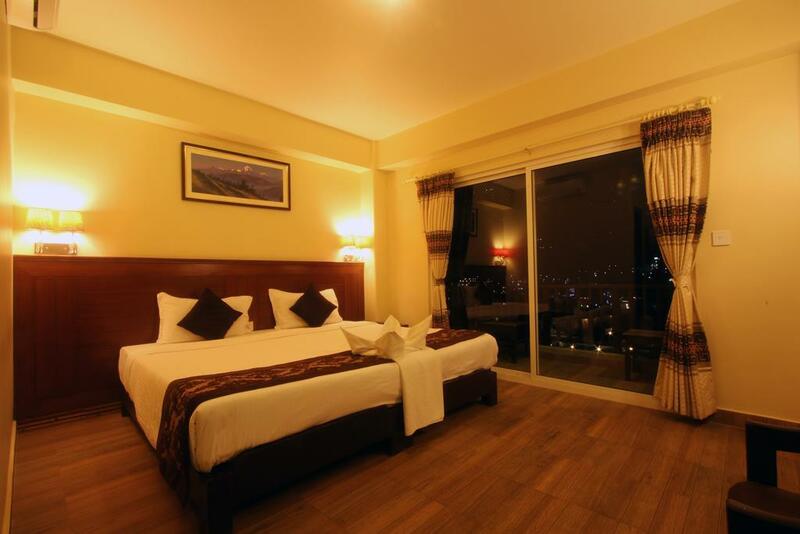 I will definitely use this hotel every time I go to Pokhara. Dear Sir/ Mamdam, Thank you so much for your great and kind reviews. We came here after our 4 day trek in the annapurna range. The hotel was a little tricky to find, it's tucked behind the main street. But, the staff were super helpful and came out into the street to make sure we could find it. The room was pretty clean and comfortable. The view of the lake and mountains was fantastic. We arrived late in the evening, so the shower wasn't super hot. The following morning we were leaving before breakfast, but the staff put together a simple breakfast for us early in the morning which was so kind. Overall, a nice spot to stay after a long journey! Dear Guest, Thank you so much for you kind and great reviews.Hope see you in the future. Thank you. Thought the location was a bit far down the Main Street of Lakeside but the hotel room had a nice view of the lake from the balcony. The rooms and foyer were very well maintained and had better finished than we’d enciuntered elsewhere in Nepal. Bottled water, shampoo and soap provided. Pretty quiet at night since it’s down a lane. Hair dryer available if needed from front desk. Dear Guest, Thank you so much for your great and kind reviews. We will concern about your suggestions. Hope to see you in the future. this hotel was extremely noisy by construction sound, other floor's sound, neighbors sound..etc. we couldn't take a rest at all. and they dont have lift so had to walk to 5th floor. room was quite clean, but bed balanket was not. you can easily go to lake side though. Very cold rooms ( heating works bad), cockroaches, bad sound insulation, but stuff is nice. Dear Guest, Thank you for reviews. We will concern about your problems. Good clean hotel at reasonable rate. Staff were helpful and can arrange transport at reasonable price. Good location - easy to get to main street & lakeside but a bit noisy from restaurant aside. 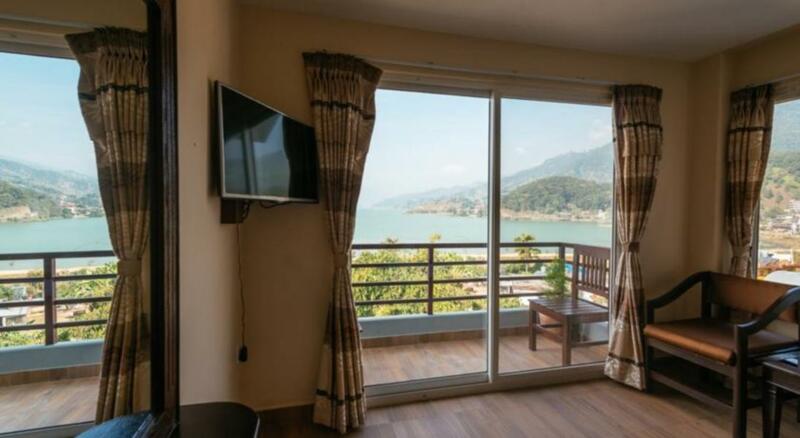 Decent room - tidy & comfortable room with lake & mountain view. Helpful staff - as I am not sure the arrival time by Greenline bus from Kathmandu , they keep checking with the bus company for picking me up upon my arrival. Στάση Λεωφορείων Lake Side στα 0.91 χλμ.